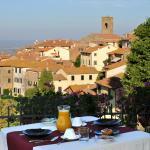 TravelEurope Cortona hotel reservation service provides you with a wide variety of lodging and hotel options, from cheap hotels to luxury accommodation in Cortona. Quick and easy hotel reservations with instant confirmation and great value for money whether you travel for business or tourism. Select travel dates and find all available hotels in Cortona, check out guests reviews and locate properties on Cortona city maps, book your favourite accommodation with no pre-payment. All rates are in Euros and inclusive of all taxes. The hotel I Nidi Di Cortona is located only 2 km from the centre of Cortona, to reach by an efficient free shuttle service. 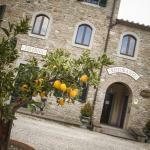 It is situated near the Trasimeno Lake, only 10 minutes driving. Just 10 minutes drive from Cortona, La Corte dei Papi Hotel consists of a building dating back to the XVIII century and two small and typical cottages, all restored by respecting their original style.